Dubai Mall is the world’s largest and most visited shopping mall in the heart of downtown Dubai. There isn’t anything you cannot find here! It may seem daunting at first trying to find your way around it, however there are interactive maps located throughout and the mall itself is divided into different sections: the Fashion Avenue (designer brands), Food Court, children shops, technology shops and more. Moreover, the lowest floor of the mall is home to many restaurants of which some overlook the famous dancing fountains as well as the Burj Khalifa. 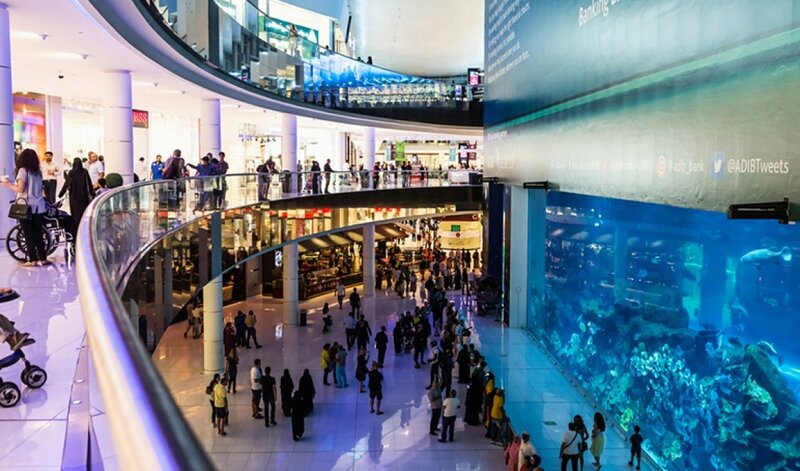 If the shopping alone isn't enough, Dubai Mall is also home to one of the world's largest aquariums and aquatic zoos, Dubai Aquarium and Underwater Zoo, complete with a 270-degree walk-through tunnel for a truly immersive experience of the deep sea. 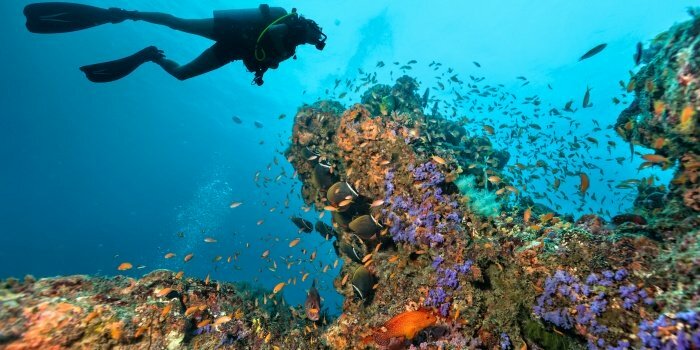 You can take your children to see sea lions and penguins and for all you daredevils out there, you can take a dive into the aquarium and see sharks. Furthermore, there is plenty of entertainment like Sega Republic, KidZania, Reel Cinemas, Dubai Ice Rink and At the Top, Burj Khalifa. People easily spend a whole day at the mall and still don’t manage to see everything. It truly lives up to its title of being the world’s biggest mall! 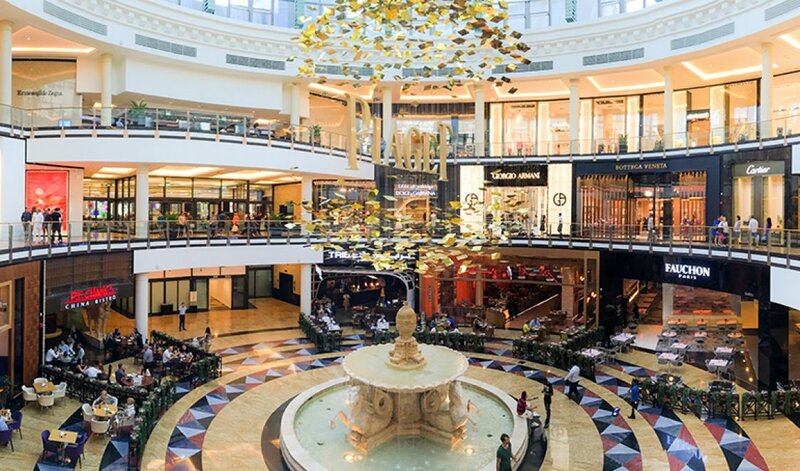 Known as the world's first shopping resort (with the Kempinski Hotel), Mall of the Emirates has an astounding 2.4 million square feet of retail floor space. Not only does it boast 630 high-end brands, but fashion designers from around the world are put on full display in the mall's Fashion Dome and Luxury Wing. 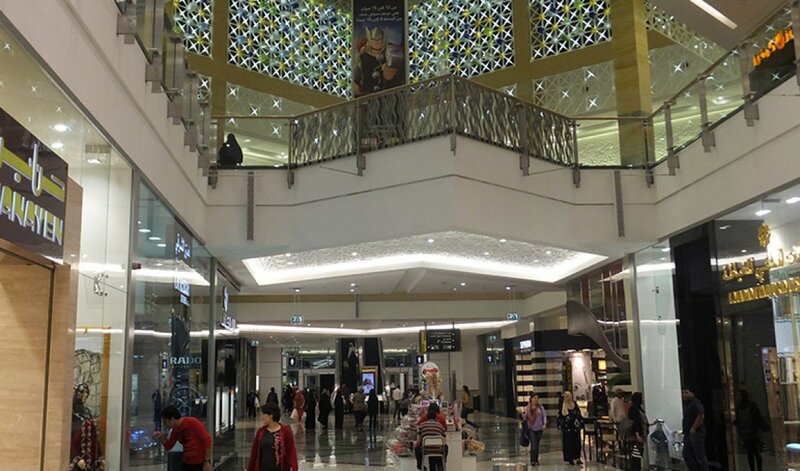 If you get tired of shopping, there are still plenty of things to do at Mall of the Emirates. Enjoy the games at Magic Planet (a family theme park) or drop by the renowned indoor ski resort, Ski Dubai, for a day of skiing or snowboarding, tobogganing and playing with the penguins. Best part - this is all indoors! 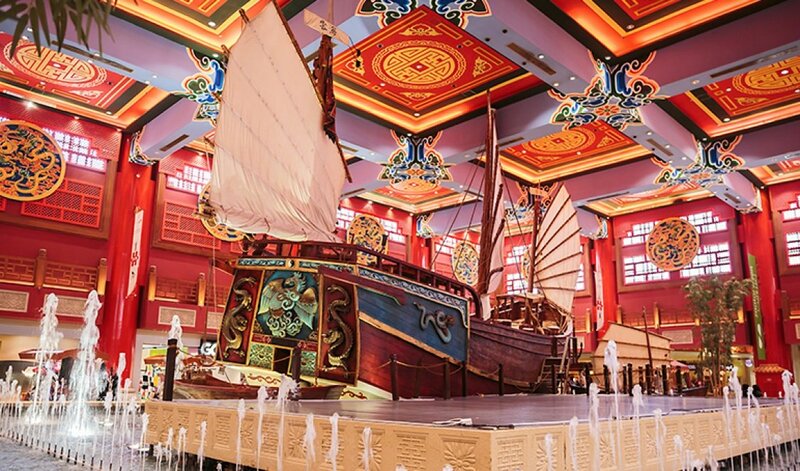 Inspired by the Moroccan explorer Ibn Battuta, the Ibn Battuta Mall is considered the largest theme mall in the world. Shopping becomes an adventure here, with six distinct retail courts waiting to be discovered and explored: Andalusia Court, China Court, Egypt Court, India Court, Persia Court and Tunisia Court. There is the NOVO Cinemas Megaplex with the famous IMAX screen located there as well and plenty of shops and restaurants to keep you busy. 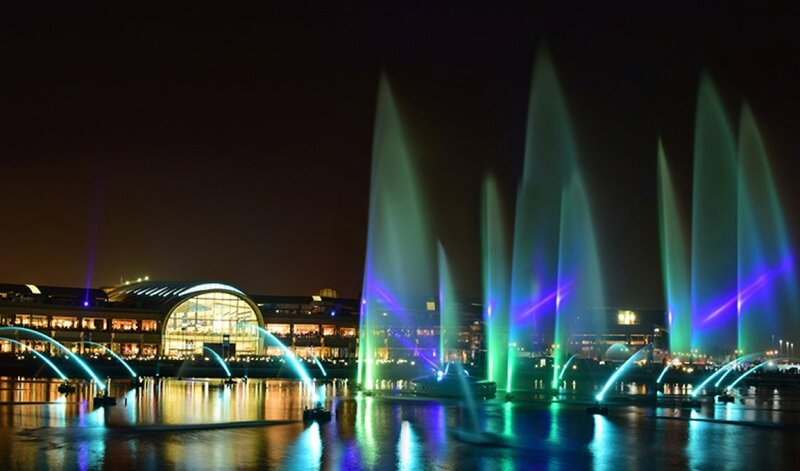 A modern business and entertainment area, Dubai Festival City is home to international fashion and furniture brands, global food courts and a NOVO cinema complex. Upmarket hotels on the Dubai Creek (like the Intercontinental) host major conferences and have stylish European restaurants with city skyline views. IKEA is also based next door which is very convenient. The mall has recently started IMAGINE, a Guinness World Record, an attraction which offers a unique sensory experience. 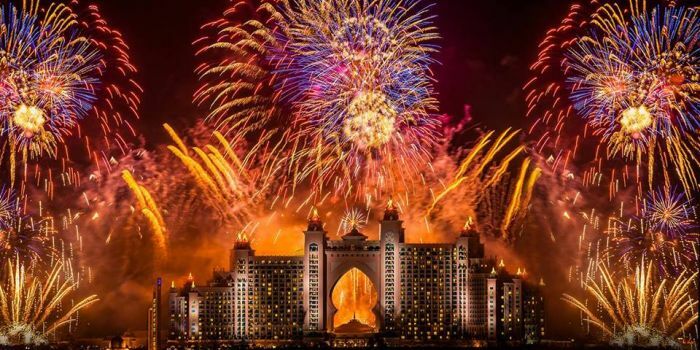 Using the power of light, water, and fire, combined with giant aqua screens, 30 fountains and surround sound to connect with audiences you will witness a show that you have never seen before. City Centre Mirdif has a large range of retail stores and it also offers a variety of entertainment choices, including iFLY Dubai (an indoor sky-diving simulation centre), Sky Trail & Climbing wall, Little Explorers (a children's entertainment centre), Soccer Circus Dubai (a fully interactive football attraction), bowling and Magic Planet. Moreover, there is VOX Cinemas with state-of-the-art cinema screens. Hop in a cab or car and make your way to one of these malls now - you’ll be in for a treat! If shopping is not for you (especially for all those men out there who get bored whilst their ladies shop) then maybe something more relaxing like booking a luxury yacht charter might be more up your alley! 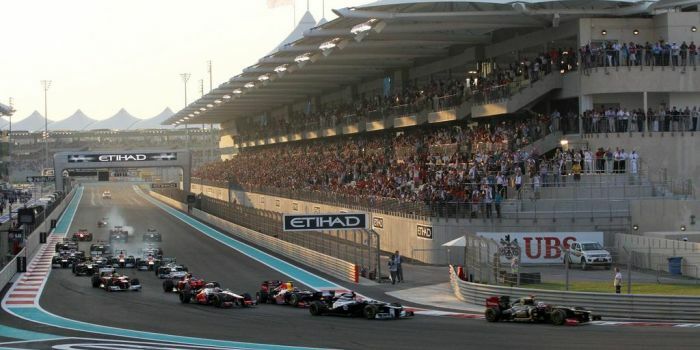 What’s more, for Christmas itself there are special offers for a private yacht rental in Dubai. CharterClick is offering the Christmas Party - VIP Package which consists of 4 hours and it’s only AED 5200!